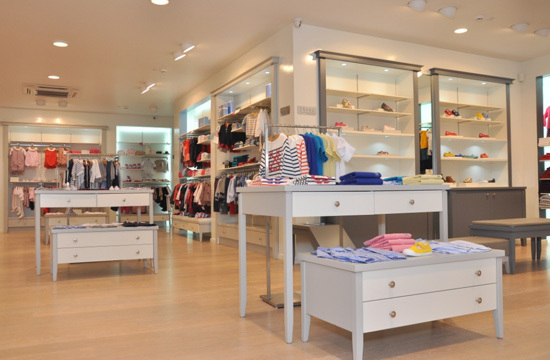 French kidswear brand Jacadi has recently unveiled their first ever store in Bangalore. Located on Lavelle Road, the airy store hosted a number of mothers and their kids for the launch of the children's boutique and the preview of their elegant and playful summer collection. 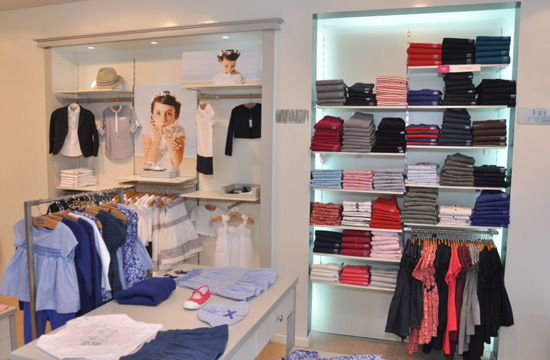 Jacadi is a French children's boutique specialising in authentic and timeless children's fashion and nursery items. Jacadi interprets traditional French dressing, continually adapting to the spirit of the times and seasons as with their summer collection which was showcased during the store launch. The range boasted of fresh and joyful colours, each capsule of colour amalgamated in trendy and bold prints. The summer collection was the highlight of the event, casual cotton pieces perfect for school or play with sun hats, swimsuits, socks and booties in a rainbow of cheerful colours took everyone's breath away. The cute quotient rose with the display of every garment; liberty prints in bright blue hues and cotton linen essentials in neutral colour palettes with pops of playful iridescent trims. The collection is elegant, fashion forward in style and expertly crafted with an element of delight and surprise. Hand stitched smocking; ruffled accents showcased the brand's attention to details. The ballet flats and open toe sandals are dressed up and dazzled with details like bows and scalloped trims, the classic loafers and moccasins for boys perfectly complemented the range of suits and dressy separates that were available in the collection. Mrs. Veena Satish, CEO Raavee House of Chic, added, 'when my daughter was born, I received a Jacadi gift set from a friend, after that I'm afraid there was no turning back. I noticed a gap in the market when it came to children's clothing; it was difficult to find branded kids wear that was superior in quality and in design. We're very excited about bringing Jacadi to Bangalore, many of our customers have expressed their gratitude and are looking forward to improving their children's wardrobes'. Jacadi is indeed a brand that has been deprived from our market. The brand's ambition is to revitalise their prestige by making their range more modern and accessible to a large number of customer. The store's entry into the garden city of Bangalore has definitely made a lot of parents happy. The new store spreads across 2500 sq. ft and houses a wide range of kids' clothing, accessories, shoes and nursery things. The store has the support of well trained staff, a plush ambience, an elegant kid's area and a spacious trial room, offering an exceptional shopping experience for kids and their parents.